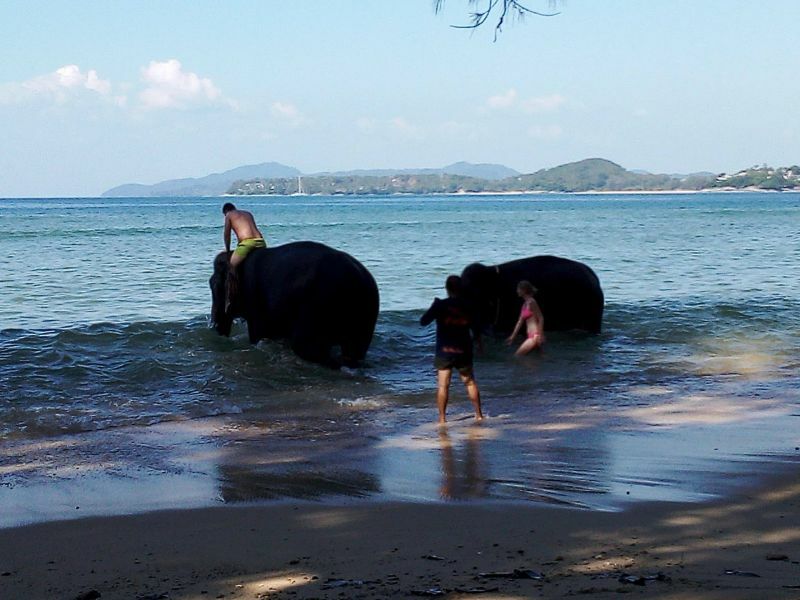 PHUKET: An official from the Phuket Provincial Livestock Office today (Dec 13) told The Phuket News that there will be no action taken against elephant touts who provide rides to tourists on the island’s beaches. The news comes after photos and videos of tourists taking rides on the elephants were forwarded to The Phuket News on Monday (Dec 11) and passed on to the livestock office yesterday (Dec 12). Speaking to The Phuket News yesterday, Surajit Witchuwan of the Phuket Provincial Livestock Office said, “There is nothing wrong with people riding the elephants as long as they are not too small for strenuous work. “The smallest elephant in the photos looks not less than 10 years old. If they are under eight years old they are usually not allowed to work,” he said. “Elephants under eight years old are not considered strong enough to carry people, however it also depends from elephant to elephant according to its size. “There will be no punishment for the elephant handlers, unless there are complaints from people regarding other disturbances such as the elephants dropping faeces on the beach and they do not clean it. This pollutes the environment,” he added. Meanwhile, the Chief of the Khao Phra Thaew Non-Hunting Area Conservation Centre in Thalang Mr Piyawat Sukon has clarified the legalities of the act of touting animals within Thai law. Speaking to The Phuket News today (Dec 13), Mr Piyawat said, “Touting is illegal if the animal is a protected species, but not if the animal is general wildlife. “However it is illegal when there is torture of the animal involved,” he said. “For elephants, if someone complains that it is causing disturbances, such as obstructing traffic or causing trouble, it will be wrong and police can catch the touts and take legal action. “Elephants are protected if they are caught from the wild, however, common elephants that have been raised by people at home and are registered do not fall under the animal protection law,” he added. Not all elephants are "crushed" but only one is too much. Please someone rescue the elephant chained up  in the small hills behind Nai Thon beach. ( Go through the empty field near the school.) The elephant sanctuary  told me they "could not get involved in any way..,"not even call the Livestock Department. This is horrible. It's not the actual riding that is the cruelty. It is the crushing (for training) and treatment of the elephant when NOT being ridden. There is no way to ride an elephant unless it has been through the crush, and I'm sorry, but that involves beating, bull hooks, tightly restricting, and separating from the mother at a young age. This is NOT acceptable. By the way,  touting is forbidden in Thailand by law, yes? 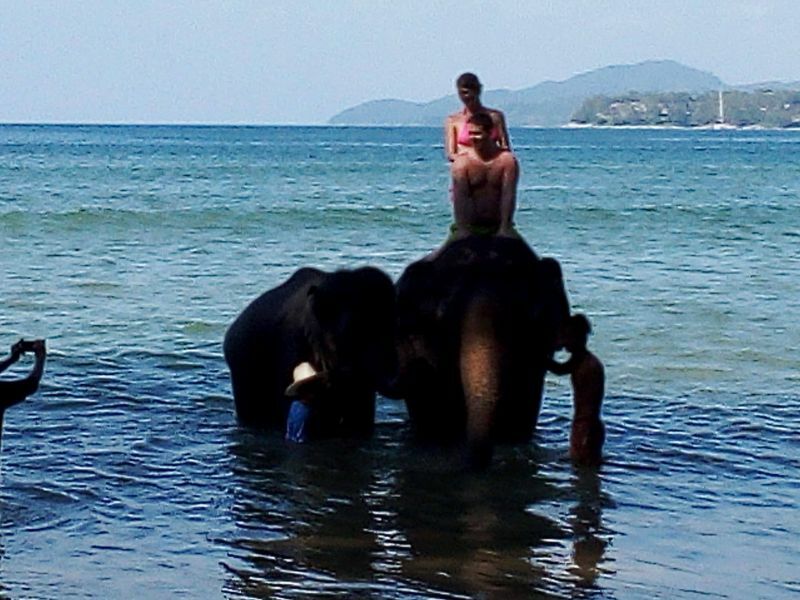 Whay it`be NOW action taken against elephant touts who provide rides to tourists on the island’s beaches.elephant faeces and urine from the beach and po + its illega Mrl Surajit Witchuwan of the Phuket Provincial Livestock Office. How much money you get of this ? Again a law, nicely 'designed' to run partly away from being responsibility of animal well being in Thailand. What is the use of registration when registration excludes the elephant of falling under the Protection Law. .." Elephants are protected when caught from the wild, if raised by people and registered they are not protected".. The touts should be required to have a plan how they will remove the unavoidable elephant faeces and urine from the beach. Maybe gigantic Pampers could be an option? So what? 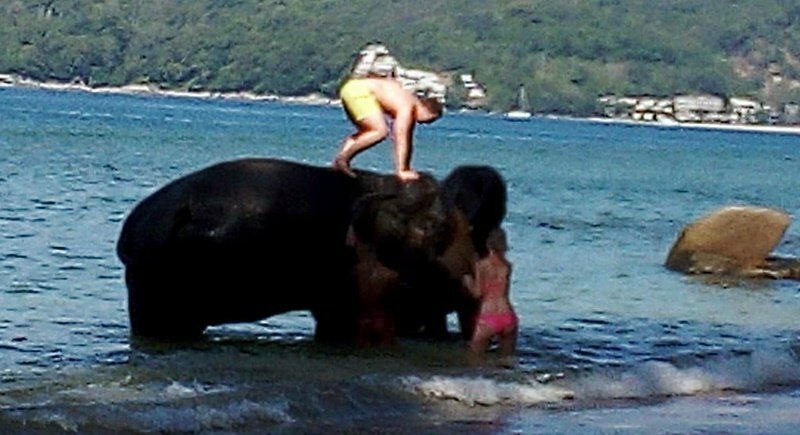 Phuket has many captive elephants being forced to give people rides every day. I don't believe carrying one person bare back is any more harmful for the animal than 3 people in a chair plus a 'mahut' driver.